Gundry should be reported to the FTC who also shut Kevin Trudeau down. Gundry should be investigated and shut down by the FTC who famously also shut Kevin Trudeau down. Thank you for this informative article. Have you read the books ”Let Food be your Medicine” and, Dr. Colbert’s Keto Zone Diet” by Don Colbert, MD? I was wondering if you have read these books and what is your opinion of what he writes and, is his writings factual and legit or is he just trying to sell books? I just heard a new quack, Dr. Rand McClain, selling TeloGenesis. There are so many of these guys making millions off of innocent people. Quackery is a very remunerative occupation. – Where this Doctor – Paul Mason – has a closer look at the vital need for lots of …. fiber. – Doubt what he says? Think of the Eskimo (ok, Inuit) who lived on a diet rich in meat, and blubber. And fat. And fatty meat. Early contact with them made no mention of their chronic constipation. Possibly because it wasn’t a problem. – But compare their diet with the advertisements we see for breakfast cereals. Dishonesty is not restricted to Snake-Oil Salesmen ! Yes! Thank you – been waiting for this post! I think you should also Review the contents of Wheat Belly Blog by Dr William Davis. You are my new hero (at least for the time being). Thank you for adding brains and more than a sprinkling of logic to the equation. In light of Dr. Gundry’s over zealous mission to save the eater from himself as an act of selfless service, I can’t help but notice selfies in Palm Springs and his push for organic foods and supplements donut eaters can’t afford, not to mention those “way past his age” glasses. The red flag should be more than obvious. I’m always suspect of anyone who says, “I’m just here to help.” Not that everything he says is wrong.. but maybe a little extreme and definitely money-driven. Interesting I should come across this just after watching Gundry’s video and also noticed the “We might run out!” marketing at the end. I’ve just started chemo and have been looking for ways to both assist my body’s natural healing processes and deal with raging indigestion, but I also know that there’s a mega-billion marketing industry out there. The more I read the more I appreciate Michael Pollan. And I’m glad you approve of full fat yogurt – my yogurt maker has payed for itself many times over and I don’t add sugar. Was looking for your thoughts on Texas superfood And are there any good supplements for getting your fruits and vegetables. And lastly you say countries Reds are useless. Why is this is it the ingredients? Anybody who says that beans and brown rice are unhealthy foods is a nut and should be ignored. To the Skeptical Cardiologist: I was wondering if you have run across the book, “The Longevity Diet” by Valter Longo. Do you have any comments? Thanks for this great feedback and I won’t be taking the plunge into Dr. Gundry’s Diet Evolution after all. Appreciate the research conducted to debunk this Leaky Gut theory. Can you show me where leaky gut is debunked? I’m not asking for references about how plants defend themselves or anything about Gundry’s stupid overpriced nonsense pills, I’m wondering how you generalized your interpretation up to leaky gut. None of the articles talk about lipopolysaccharides, so I’m left feeling like Monsanto told you leaky gut doesn’t exist. Yeah, DR. Gundry mentioned Dr. Oz I deleted my history and moved on. Dr. Oz should be ashamed of himself. His show really is like unto a sideshow with people he brings on to fill time. Not only is he not convincing but the pushers of their wares are even less so. The vendors (I call them) really appear to be neighbors or ex-clients who he has recruited to keep his show going. Every time he opens his little lips to speak his eyes stretch and he breaths in and out pop little big lies and I was amazed that the audience actually fed into the three ring circus act time and time again. I am very serious Dr. Oz seems to me the type of man who will continue to pull at straws rather than admit defeat and go back to his so called practice. I personally think in the beginning his looks drew people, but age is taking its toll and it’s as if he is sinking and grabbing whatever he can to stay afloat. Whatever, meaning, amature after amature pushing their wares. It is plain to see they do not put a lot of professional thought into their presentations, but then, why should they, when they are catering to an audience of people who are looking for a pied piper to fix that which may not be an issue until DR. Oz says it is. Dr. Oz in my personal opinion is no less than the imaginary character Wizard of oz! If he still has his practice I surmise that hoodwinkcockledoodleado will not fly wirh them and I believe he has the good sense not to try it wirh his patients. I even bet his customers sat at home eatting popcorn and drinking gin and call one another after every show and roll with laughter at how gullible the people are that attend the show. and sing cockledoodleado until his sense of decency and compassion for other human beings returns. i totally agree with you: they “should be have feathers glued on his bottom and made to do the rooster dance and sing cockledoodleado until his sense of decency and compassion for other human beings returns”! Thank you for your article. It confirmed my suspicions. One measure that I use for evaluating advice is how long does it take to give the advice. If an email runs for pages and pages, it is likely bogus. And I listened to Dr Gundry’s video presentation in its entirety to see what techniques he used. It ran for about an hour! And when he stopped speaking, the screen still showed the “Next” button. After about a minute of silence, he said, “I see that your are still here. That is probably because you have questions.” And he launched into another 10 minutes of his pitch! I have the same opinion, and have never heard it verbalized before. If it takes you more than 3 minutes to tell me the wonderful, helpful, everyone will benefit, medical “news,” then I immediately know you are trying to make a buck and it’s bunk! 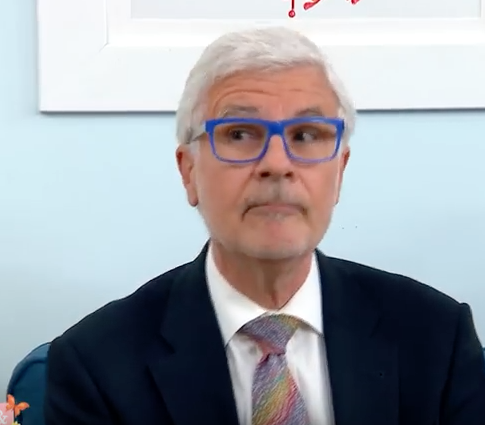 I watched Dr. Gundry’s video clip for about 20 minutes,out of 50+ minutes, before I realized he was selling a panacea. It shouldn’t have taken that long. He is selling people a be-young-and-energetic-again dream, which does not exist. I love Dr.Gundry and his plant paradox book is on point! The proff is in the pudding! EVERYONE OUT THERE TRY THOS PROGRAM IT WORKS !! He was a doctor or an actor. I’m so glad to run across your website that confirms my suspicions. Thanks for the comments, Patricia. Gundry’s “only i have the secret” to diseases x, y and z adds to his collection of red flags of quackery. I can’t keep up with the number of these quacks that keep coming out. They feed on people’s paranoia and their desire to find the right snake oil for them. This critique of the book is not very substantial, in that it doesn’t really address the claims of the book, just relies on the comments of authority (Dr Campbell). I think the author of this article didn’t read the book, just maybe the review of Dr Campbell. I never liked “authority as argument”. Dr Campbell’s findings in the China study are important, and I think the main reason he doesn’t like Dr Gundry is because he took a small jab at him in his book. Anyhow, I read the book. It has a lot of science behind, but it also feels a bit sloppy and indeed, at times like an advertisement for Gundry’s diet (as far as I can tell though he is not really pushing his supplements in the book, only the diet). However it draws attention to a very important issue, that we still don’t quiet understand: inflammation, and how it’s related to what we eat. And that’s a good direction, whatever the cause: lectins, medication, animal proteins, additives, lack of sleep, glyphosate, etc. 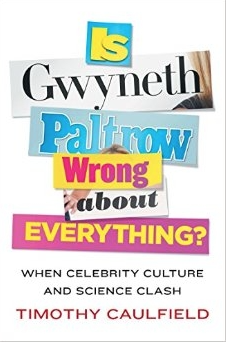 Let’s have more research on this, but his book is a start and it seems mostly honest. Just ignore the bombastic tone and take whatever seems useful. It should be read in the context of other nutritional research, e.g. that of Dr Campbell, Buettner’s books, or nutritional / medical science in general, understanding how the human metabolism works, the role of insulin, IGF-1, etc. It’s not in the book, but the prevalence of food allergies has grown several folds in the past 20 years. Instead of taking pills for allergies, diabetes II, arthritis, heart disease etc, changing a bit our lifestyles and what we eat would be a better way in my humble opinion. That is, better for people in general, not better for the industries producing these medications, the addictive processed foods, or non-processed but genetically modified crops drenched in glyphosate… All this is so obvious, sometimes I wonder how are we constantly missing the mark. There is something every decade. DDT, arsenic, aspartame, teflon, glyphosate, etc. It’s fascinating to watch these stories repeat decade after decade. – move around, don’t sit for too long. That’s basically it. Well, Gundry suggests to cook your veggies, especially beans in a pressure cooker to get rid of the lectins – which is probably a good idea. Also, these people will probably also disagree about grains (eat vs don’t eat / whole vs polished). I say let science sort it out and in the meantime eschew grains completely or limit amounts and to traditional sources, e.g. a french bakery or home made fresh bread, traditional Italian pasta, etc. But probably good to avoid and Gundry adds to the already accumulating evidence that grains were something we had to start to resort to eat a few thousand years ago and we are probably not too well adapted to eat. I can agree with a lot of what you say. – ” read the book. It has a lot of science behind, but it also feels a bit sloppy and indeed, at times like an advertisement for Gundry’s”. But when you say it has a lot of science behind it, tell me exactly what you think he says that is supported by good science. -Pretty much all camps agree that inflammation plays an important part in the development of our major chronic diseases but science has not shown us the cure, merely suggested multiple possible causes.. Gundry definitely hasn’t contributed anything in this area. -your listing of what most agree on for good nutrition except for this “limit animal proteins and fats (a little fish and maybe eggs are ok, use a variety of cold pressed plant based oils)”. There is an ongoing scientific debate about this and we await solid data that we should limit animal proteins and fats. And you’ll wait more and more and more. IF he were at all genuine, just like any other genuine reporter, truth teller, observer, scientist, friend or whatever he’d put it clearly and simply out front, up top, right there before you even start on any further reading or videos. And IF he had any breakthrough truths the whole world would jump on them straightaway and pretty soon we’d all know. But he is an interesting case. Evil genius you might say. For he’s obviously at least intelligent enough to pass med school and diligent enough to perform cardiac surgery. So he’s no low-life scam artist. He’s more like a high-life self deluded fool. Perhaps egomaniac or something. Delusions of magnificence. Maybe believes all he says himself. But, last word, if you’re a doctor you should be, according to me, primarily concerned with the welfare of the human race – in which case if you’ve got a good secret, a good medicine, a good exercise or anything at all – you let it be freely known by name at least and freely available in fact if you can. So the mere fact that he doesn’t just tell it up front and for free shows him up for what he is. ‘essential’ (proprietary) supplements, – at $?? per day? Besides, the need for so many ‘Extras’ tells me that his protocol is defective, being deficient in these essential nutrients! Oh my I feel so fullish to have purchased all of the products that I have so far. We recently got scammed and it has made me suspicious of all the things that I’ve been buying for myself and animals. My husband tells me all the time how nieve I am to believe in some of these products. The money back garrentee is what usually gets me. I’m very ill and just want to feel normal again and don’t really want to be on pain meds. I know how addicting they can be. I have like 8jars of the vital reds and just recently bought the probiotic and it has helped me instead of taking my prescriptions linzess. Instead of being on the toilet all the time it has been helping me not have to take the liness and being in the bathroom for hours with the prescription. I feel so wronged. So not stupid but just to trusting in people I’ve been that way my whole life and have been so hurt by it. My next step is to just get refunds on all of this stuff I’ve been so trusting of. Thanks for sharing. Please let us know how the refund process works.